Anyone who thinks lo-fi indie rockers are too hip to don a sequined cape or dive in to hug familiar faces in the crowd is unacquainted with Man Man’s live antics. All five members of the group are completely unfettered onstage, resulting in a uniquely engaging performance.--- Their concert at The Urban Lounge on Wednesday night drew material from their early days and cuts from their most recent album, On Oni Pond, but never strayed from the same live energy that Man Man devotees have come to cherish. 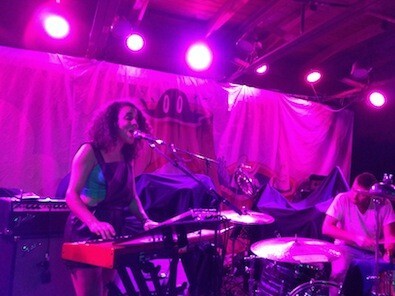 Opener Xenia Rubinos began the festivities. Her voice is loaded with passion and individuality, and she performed as a duo with her keyboard stylings backed by punchy drum accompaniment. Rubinos’ music captures her original songwriting, but as a first-time listener, I couldn’t help but be reminded of Tune-Yards. Both artists’ appeal owes to strong female vocals, diverse influences and stark artistic integrity. Judging from the attendees’ reception, Rubinos will stick in her audience’s mind as a burgeoning talent. 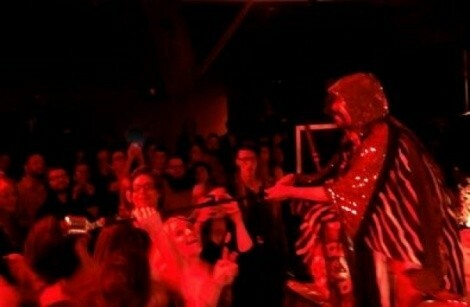 Man Man then took the stage, satiating a packed house of their chanting fans. The band's leader, Honus Honus, aka Ryan Kattner, and his electric piano sat a few feet from the crowd, directly across from the drum set of Pow Pow, aka Chris Powell. The two musicians were intensely charismatic as they directed their flailing hands and elbows into their respective instruments, grinning throughout. Their lust for performing and Kattner’s raw, honest lyricism made Man Man's show a uniquely connected performance. Rounding out the rear of the stage behind the two frontmen were two talented multi-instrumentalists and the groups’ second-string keyboardist. The quintet sounded full in the small space at Urban, almost engulfing the listener at times. “Head On (Hold On to Your Heart),” an affirmative anthem from their latest release, and classics from Man Man's old catalog rang out with zeal, while the audience responded in turn on the dance floor. 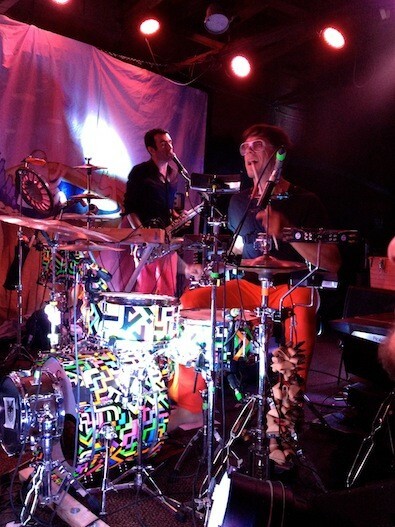 Favorites from the band’s early days, like “Young Einstein On the Beach” and “Push the Eagle’s Stomach,” are some of Man Man’s most manic songs, and they sent the crowd into their most jubilantly frenzied moments of the night. Their encore concluded with a 30-second goodnight lullaby, reminiscent of the final moments of some Beatles albums. I exited the venue with the sincere hope to see this one-of-kind group again soon.